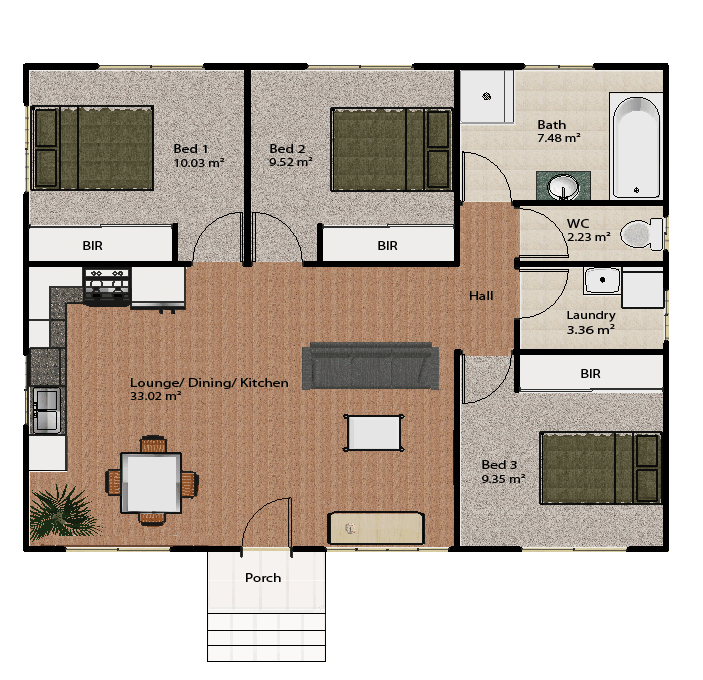 The Balonne home is the smallest in our range and is targeted towards the getting started in the housing market or first home buyer who does not want to purchase an old home and renovate it. It has been designed as an alternative to a transportable home with the finish of the home being far more attractive and better quality built. It will be far more economical to build rather than buy and renovated at this price. Look at the plan and compare the prices and the specifications. You will be surprised, we were.